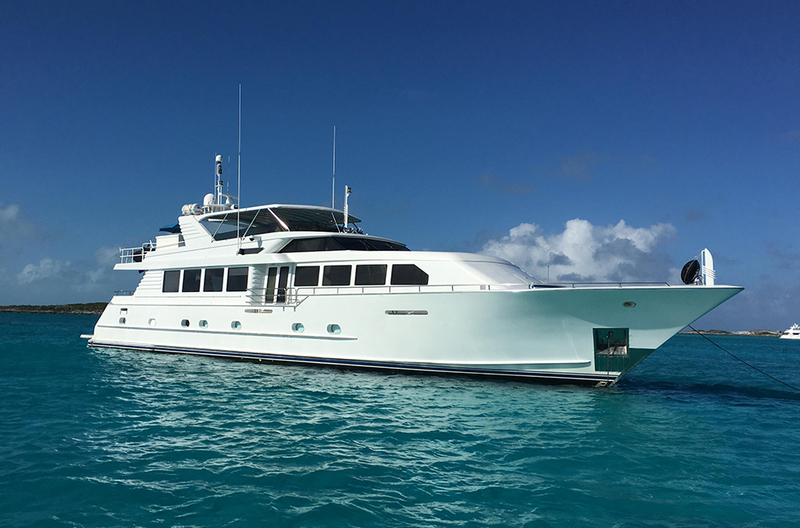 Breakaway is a 107’ Broward that is in pristine condition and can accommodate up to 9 guests. 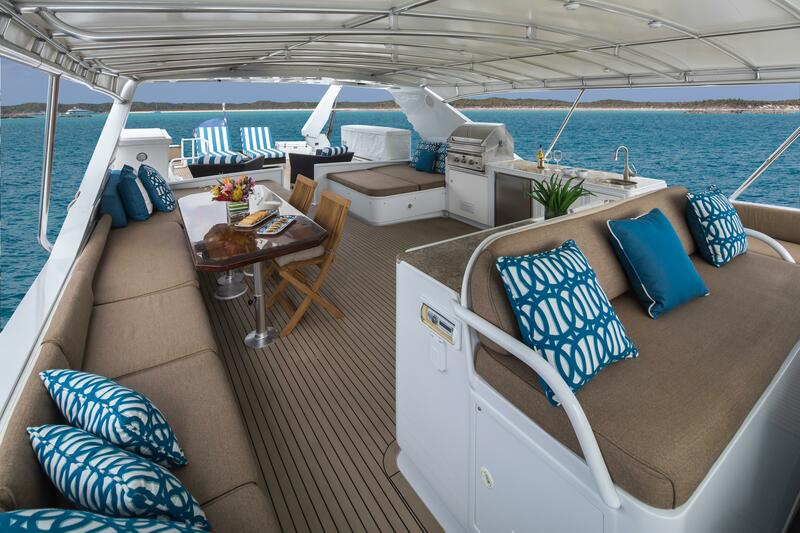 She offers generous space for passengers to relax on the interior as well as the exterior. Additionally, dining areas are available on both the aft deck and in the main salon. 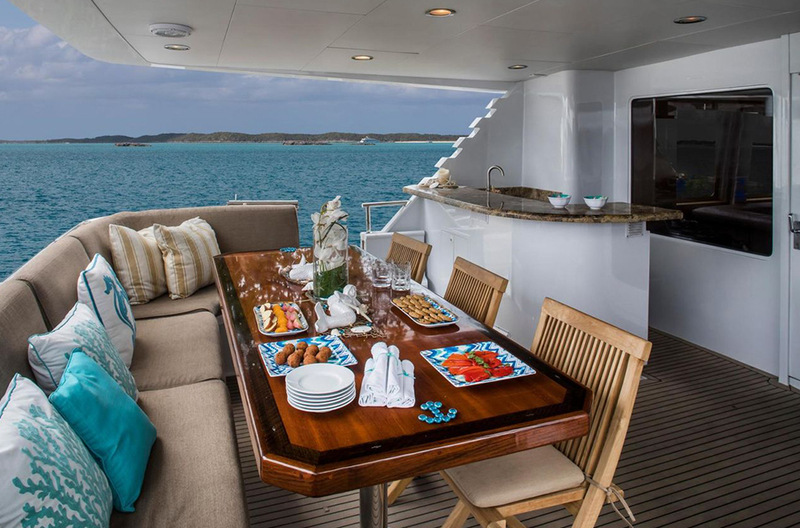 Her extended flybridge further increases the available room, creating the perfect backdrop for onboard entertaining. 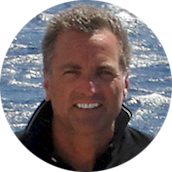 There are chairs for sunbathing, a multifunctional table and barbecue grill for afternoon or evening cookouts. Finished in birds-eye maple joinery, her interior is warm and cozy. 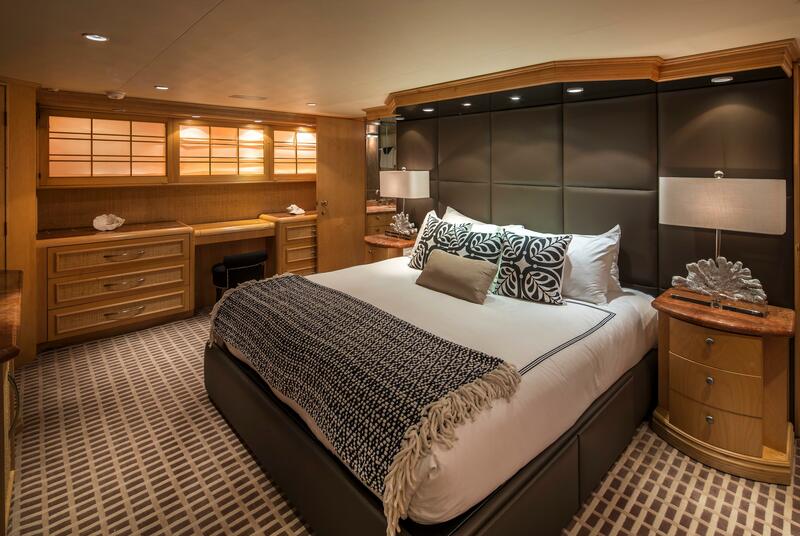 She also has upgraded marble and mosaic tile baths throughout and features a 4-stateroom layout. 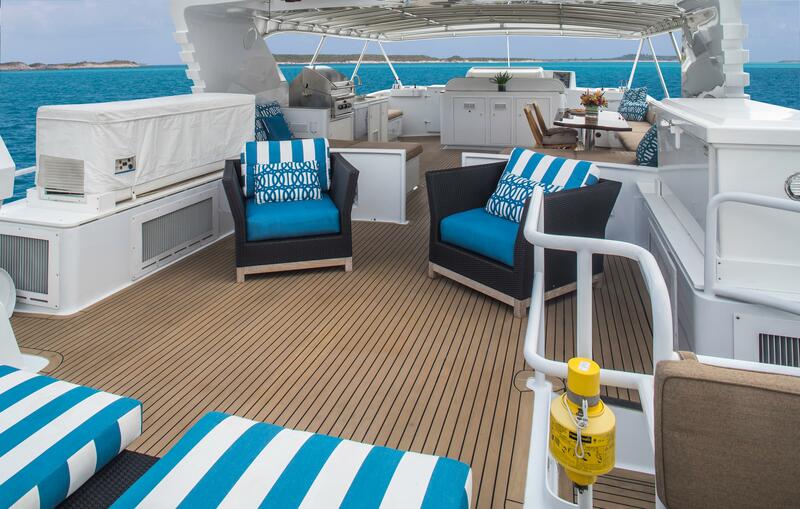 The bow of BREAKAWAY offers a great space to relax and take in the scenery. 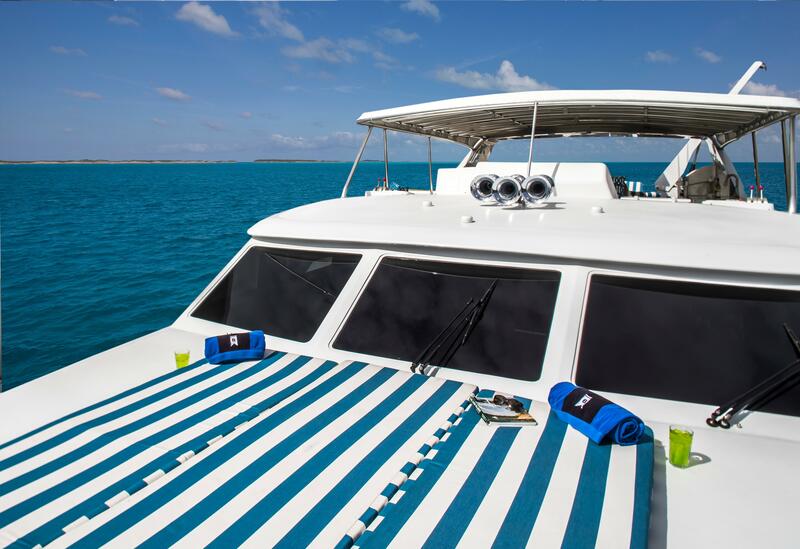 It's roomy and naturally welcomes your guests to sunbath to their hearts content. 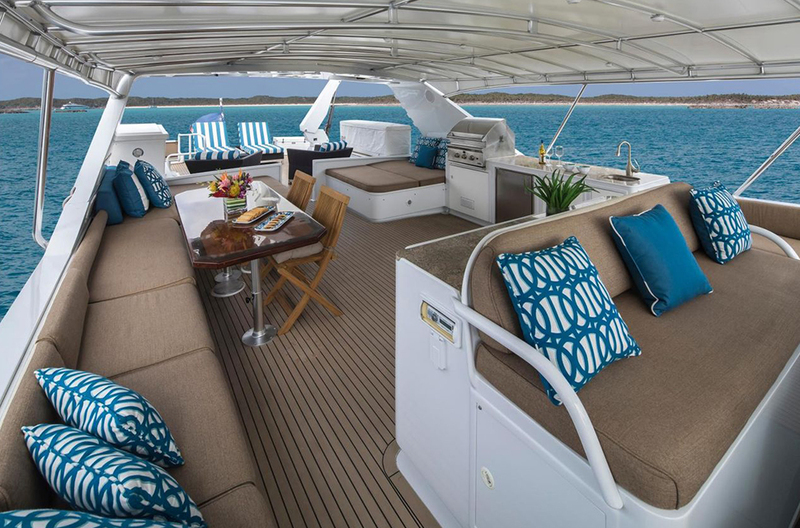 With her 20’ beam, the interior invites you to spread out and lounge in the roomy main salon. 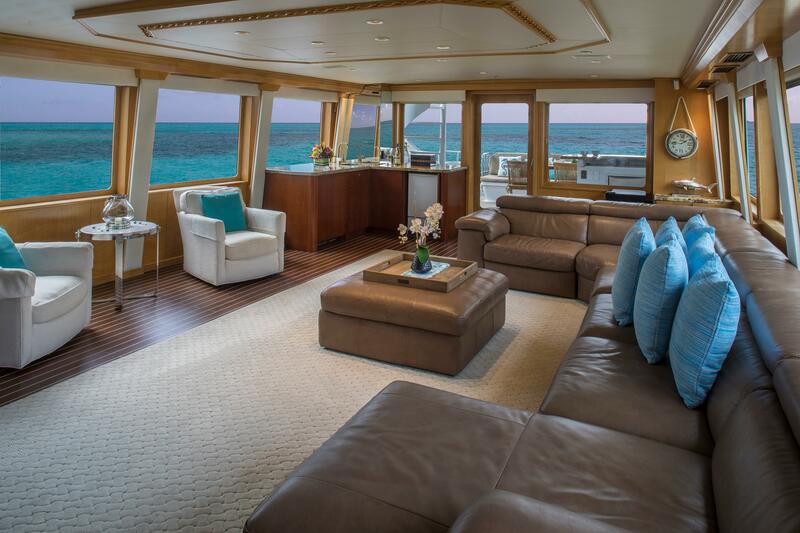 Passengers can kickback while enjoying a cocktail, given she's furnished with a large U-shaped sofa and custom wet bar. 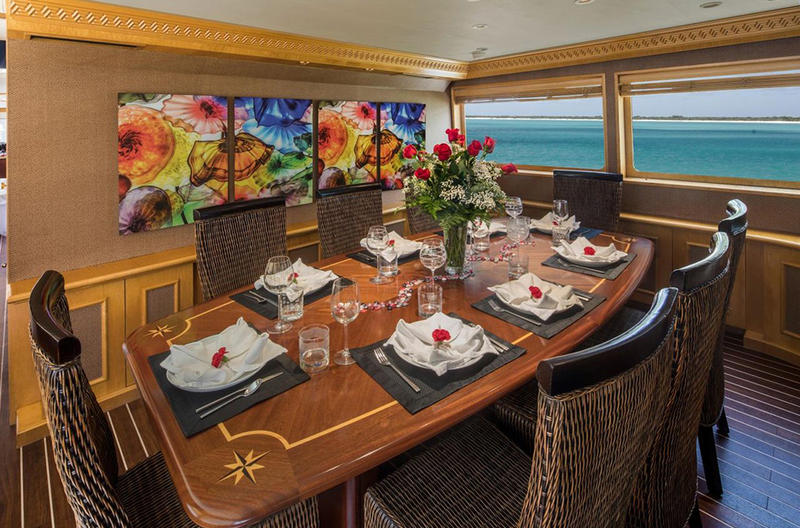 The dining area is equipped with a bow-shaped teak table, surrounded by 8 wicker-woven wood frame chairs, both of which create an elegant experience. 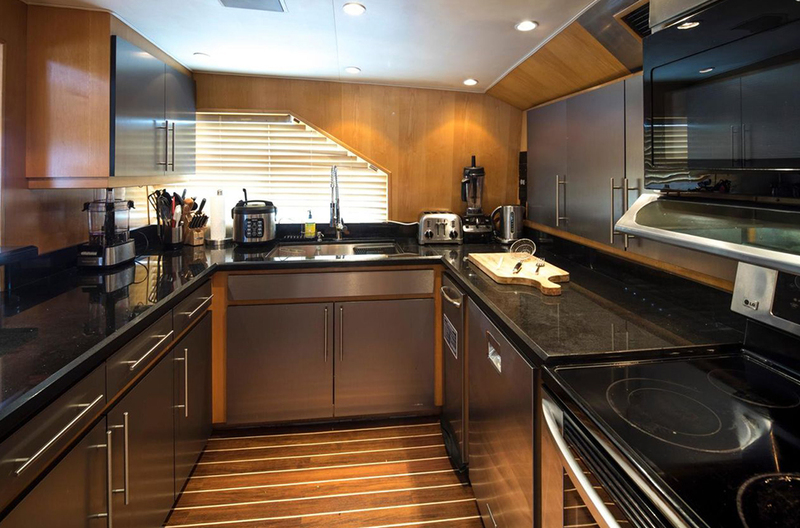 As an added convenience, there's also a pass-through for crew to the galley. The aft deck features a large L-shaped cushioned bench and hi/lo teak dining table. It's also covered overhead, making this space ideal for lounging, no matter the weather.